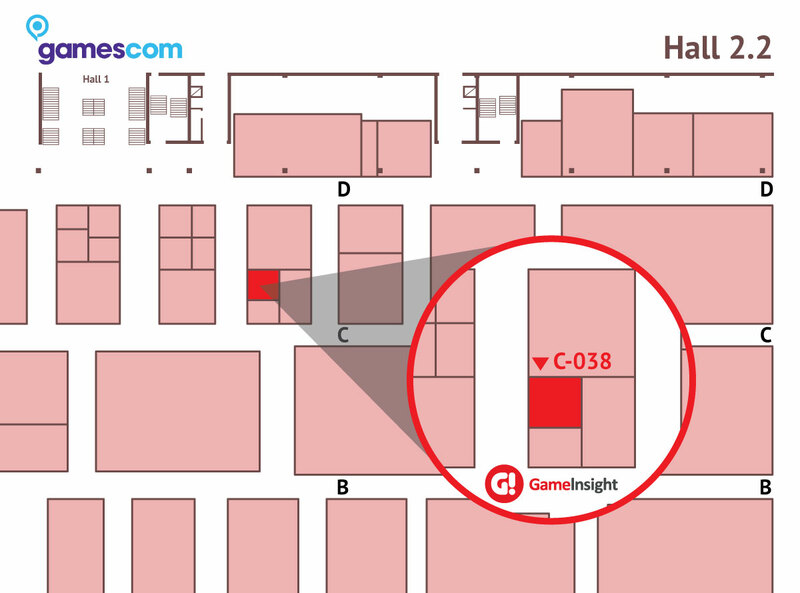 A large team from Game Insight is ready to talk business at Gamescom, which is taking place in Germany on August 5th-9th. The biggest computer and video game event in Cologne, which gathered over 335,000 visitors last year, is about to get even bigger. Game Insight’s team is eager to present the hottest titles of the season, as well as give a sneak peek of upcoming projects. Those interested in a strategic partnership are encouraged to come and visit our stand August 5th-7th in the Business area, Hall 2.2, stand C-038. To schedule a meeting prior to the event, please contact Game Insight representatives using the information provided below.